July 11, 2011 Daily Photo. That's a rather boring part of the Manhattan skyline there but I like the view of the Bridge. I fooled around with it with either Topaz or HDR Efex Pro...I don't remember which !! Love, love, love this! 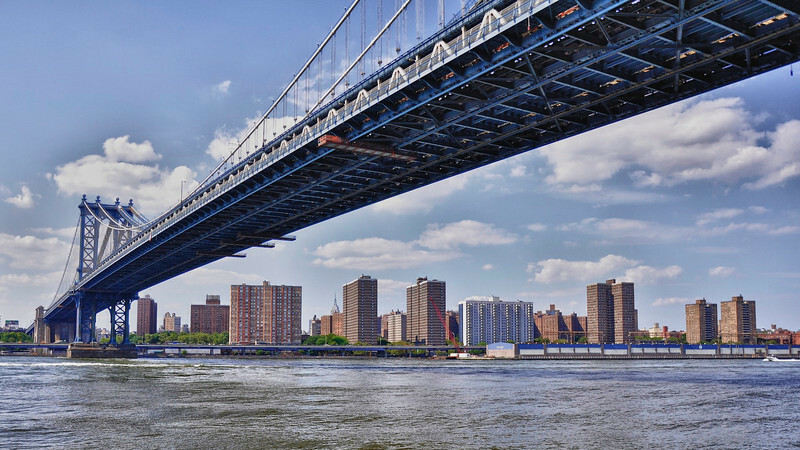 Wonderful how you captured the skyline under the bridge! I love this; wonderful perspective, very dramatic! Beautiful scene, capture and comp!